Luxury watchmaking conglomerate Richemont just announced its full year 2013 results, echoing the rest of the industry, with slower growth and reduced margins due to a slowdown in China and currency effects. Because Richemont’s stable of brands comprise almost entirely of high-end brands like Cartier and Jaeger-LeCoultre, save for Baume & Mercier, its results are a useful as a barometer for the fine watchmaking industry at large. For the full year to end March 2014 Richemont, which also owns Panerai and Vacheron Constantin, saw sales rise 5%, versus a 14% rise last year. Margins were down and net profit inched up by 3%. That was largely due to unfavourable currency movements and a continued weakness in Asia ex Japan, primarily in China and Hong Kong. This figures are in line with the performance of the Swiss watch industry as a whole. At constant exchange rates, Europe, the Americas and Japan all grew by double digits, while Asia, which makes up 40% of sales, was up only 6%. Notably, the highest growth in Europe came from the main tourist destinations, implying that demand from travellers, many of whom are from China, is still strong. Chinese demand within Asia, however, has slowed due to the political situation on the Mainland hence the poor showing in the region. As this is likely to persist, so will the impact on watch sales. Though China will continue to be the world’s largest market for pricey watches, growth there will continue to be muted, especially for the higher end brands which Richemont focuses on. In contrast, the Swatch Group owns more accessibly priced brands like Tissot and Longines, which have been less affected by the overall slowdown in demand, hence the healthier figures in the Swatch Group’s 2013 results. Besides the geographical disparity in performance, another notable figure is the continued robust growth of retail revenue (meaning from Richemont owned boutiques) which was up 14%, versus the 6% growth in wholesale revenue (independent retailers). This illustrates the unyielding push by the big watch brands to take more and more control of distribution channels and the resulting margins. Not only are brands opening more boutiques with more products being retained as boutique-exclusives, they are also pressuring retailers drop smaller, independent brands. Over the long term the influence and presence of the big watch brands will only increase. Richemont does not break down the performance of individual brands, save for Montblanc. The pen maker that grew phenomenally in the nineties has hit a wall and is attempting to refashion itself into a watchmaker because demand for luxury pens is moribund while watches still sell. Jerome Lambert, the former CEO of Jaeger-LeCoultre, was recruited last year to turnaround Montblanc, but the turnaround is still a work in progress. Sales at Montblanc shrank 5% while operating profit dropped 64%. One likely reasonf for that is Montblanc is saddled with a large network of posh boutiques and the accompanying rentals, while its average selling price is pulled down by its leather goods and pens, unlike its sister brands which sell mainly watches or jewellery. Interestingly, from April 2014 Montblanc results will be integrated into the “Other” segment along with Dunhill, Net-a-Porter and various other businesses, removing it from public scrutiny. The group’s watch brands did moderately well, showing 9% growth in sales and a 6% rise in profit. Cartier and Van Cleef & Arpels together grew 4% in both sales and profit, with strong demand for jewellery. 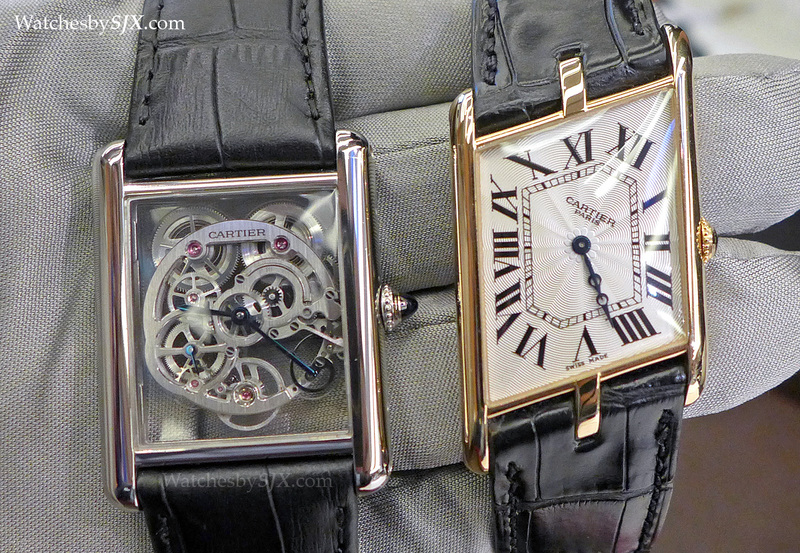 Cartier’s watches, which likely comprise around half of its sale, saw “moderate” demand. With all the big watchmaking groups having reported their results (LVMH’s weak numbers came in January), it is definitive that 2013 was a slow year. There is no indication that 2014 will be a return to the form of the go-go years. Brands are slowly coming to terms with this, by introducing lower-priced products, but they still have some way to go.